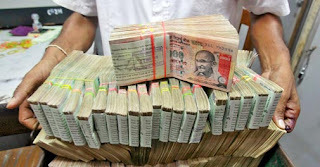 I read your article http://www.svtuition.org/2009/09/how-to-earn-one-crore-rupees-with-in.html and i tried but couldn't earn. I am a 25 year old person trying to help my dad clear of his financial troubles. We sold everything and still short of three crores. I don't even know why i am mailing you. Vishnu! I can understand your feeling. One crore or 3 crores is big amount and you want to help your dad within short period of time. For this, you never feel weak. You can do because you have power. You just forget your power. When you identify your power, then you will feel, to earn one crore was so easy. In this world, I can give some example who are earning more than one crore. 1. See the tree. He also lives his life when he comes to young age, he gives more than one crore oxygen to the world. 2. See the Sun. He gives more than Rs. 1 Crore light in day. 3. Suppose, you are one. Your earn Rs. 50000 per month. It means, you are providing the service of Rs. 1,00,000. Hire 50,000 more person like you and get Rs. 50,000 and give them Rs. 50,000. With this, you will earn Rs. 1 crore in day. 4. Donate your eyes. When you will die. It will be donated to blind person. Its value is more than one crore. It means, you will earn Rs. 1 crore and you can see this one crore in other person's eyes. 5. Protect our natural resources. When rain comes, more than 100 crores rupees water goes to waste. Save all the water. This water will give you Rs. 1 crore per day. 6. India was the sparrow of gold. Every person who lives in the India makes his home with gold. It means, to earn Rs. 1 crore per day was very low amount in past. If you do not faith on me just read the Indian history books. We are the biggest seller of the world. But one day, we became lazy and all robbers took everything from us. So, if you start again hard work and do something for our India, it will again the sparrow of gold. At that time, it is possible, you and other will earn Rs. 1 crore per day. No Comment to " One Crore Earning "